There are many scenes where this prototype appears, but the most fun scene is when Woz presented this prototype to his boss at HP... You should watch that movie. But for now here it is my personal model. The mother board is a STM32F401 Discovery, powered by an ARM Cortex M4 microcontroller at 84Mhz. It has 256KB of Flash and 64KB of SRAM. The board generates a composite video signal and uses a simple 2 bits DAC for the output to the monitor. 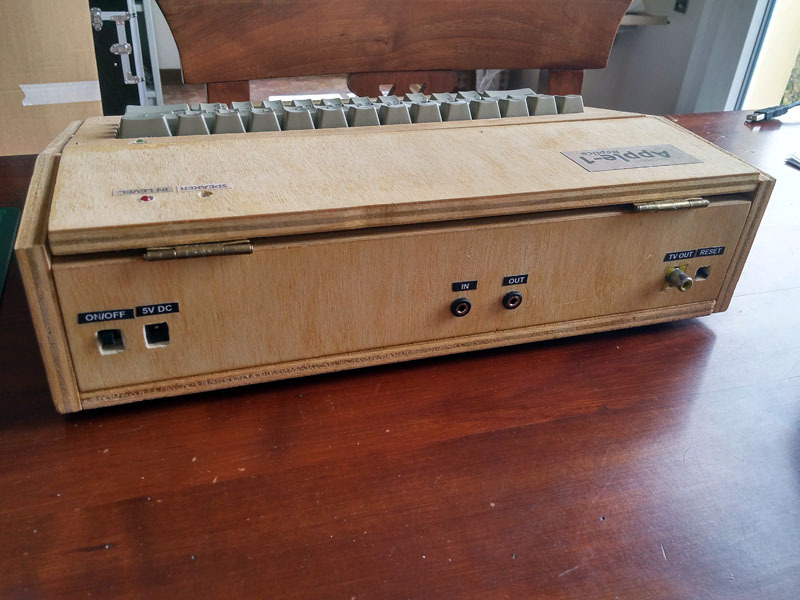 The keyboard was borrowed by a vintage Macintosh 128K, the M0110, and it is interfaced to the mother board through an Arduino mini pro that translates the scancodes into serial ASCII characters. 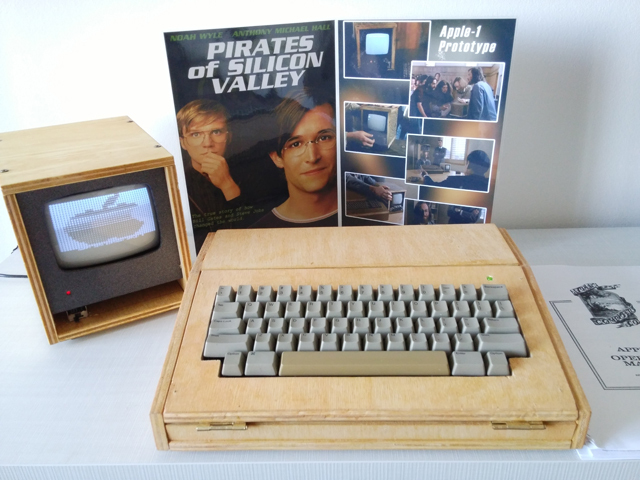 The monitor is a simple vintage portable b/n TV put into a wooden case. This TV set has a video input, directly connected to the video output of the mother board. THANKS TO ALL FOR THE PRECIOUS INFORMATION IN THIS SITE! Wonderful job - makes me want to take another crack at a replica. One way to read cassette data from an emulator, is to have a separate real time task that runs off a periodic interupt and oversamples incoming data. This task can create a database with timing and data information embedded within as it samples a physical tape. If you want, you can make this file a standard format, such as AIFF, so you can play it back with any music player. The main emulator code must keep some kind of timing information (clock) that is instruction accurate. Using this clock, you can write code to index to the correct point in the database to read the correct input bit. The index into the file is based on the amount of time since the cassette recorder was started, subtracting off any time that it was paused or stopped. Writing is a bit easier than reading, I'll leave that to your imagination. 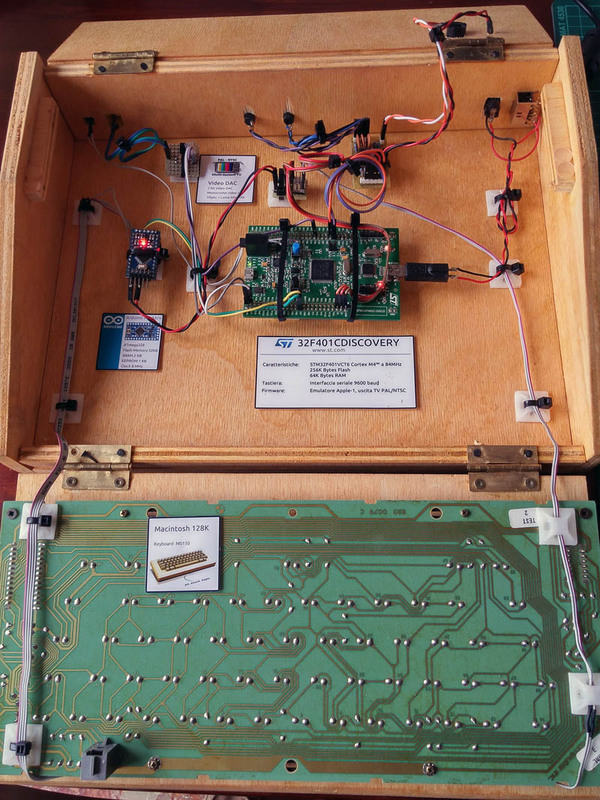 This approach is probably easier than trying to make an emulator that executes instructions exactly in time with the real world, though there are advantages to that approach, especially if you are going to add other types of physical interfaces. thank you for your reply. Yes I did something like that in my SEGA SC-3000 emulator, but it was done in Actionscript for FLASH. I was able to Load and Save data from/to a file. I would like to find a way to do this without using a files and store/read data directly to/from the tape. I am testing several ways, of course it's a bit tricky because in the Apple-1 ACI everything was done via software. So the CPU timings and cycles are very important. Currently the STM32F401 board has a clock of 84MHz, and apparently it's a lot faster than a real Apple-1. I have 1 timer for the PAL/NTSC video generator and another timer that handles data coming from the keyboard. The 6502 is run each frame for the specific number of cycles for a frame. This way works good for the execution of normal programs because it's synchronized to the video output and it can keep the clock speed (or at least it's approximately close). But when the CPU has to count cycles to create delays timings are imprecise. So I have to count cycles during the execution of the instructions, and synchronize somehow the hardware to output data. Anyway, I know that this approach is very difficult but I would like to see if it's possible. Maybe I can try to port the emulator on a better MCu like the STM32F429 clocked at 180MHz. First I started to test the Output from the computer to the tape. I was able to obtain a reasonable signal coming out from an "OUTPUT" GPIO so I did a simple test. I recorded the signal with Audacity, a sound editor, and exported the file as a PCM, 44100Hz, 16Bit Wav format. Is there somebody who can test this on the real hardware or an hardware replica? I took a picture of the screen, if you want I can email it to you, but it looked good. YES! that is the correct result! So The output waveform from my emulator should be good, and hopefully even on a tape should save correctly. Now I am working on the reading feature and i am doing not too bad. 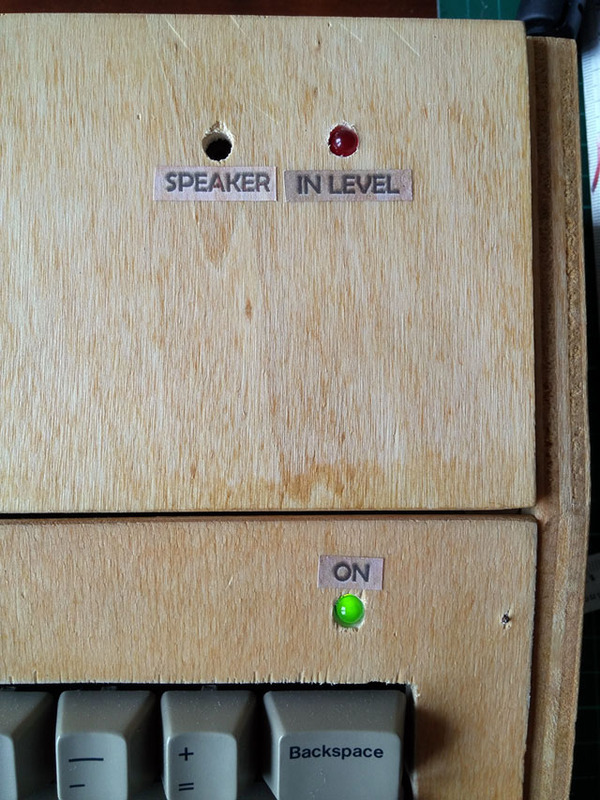 THere are problems in finding the right audio level... Sometimes bits are not read correctly, so I am on this. 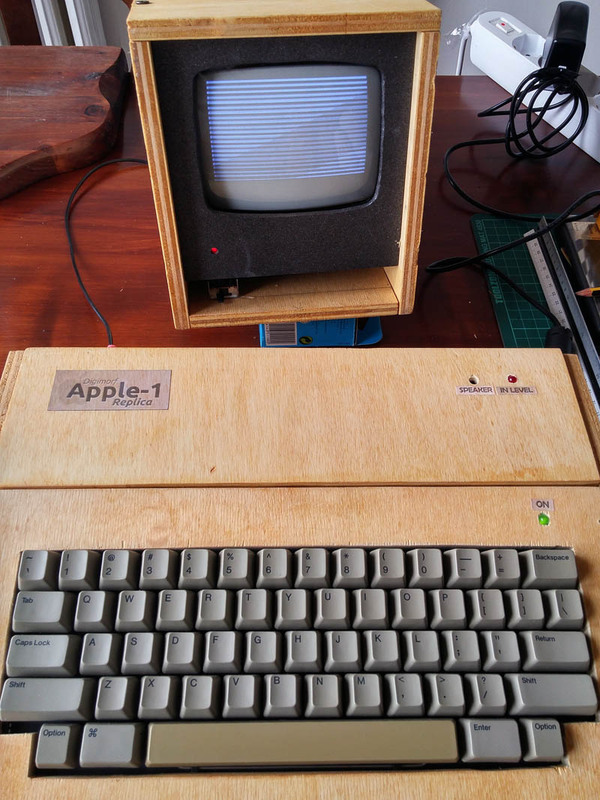 So excited about this Apple-1 emulator As soon as it's done I will record a demo video. 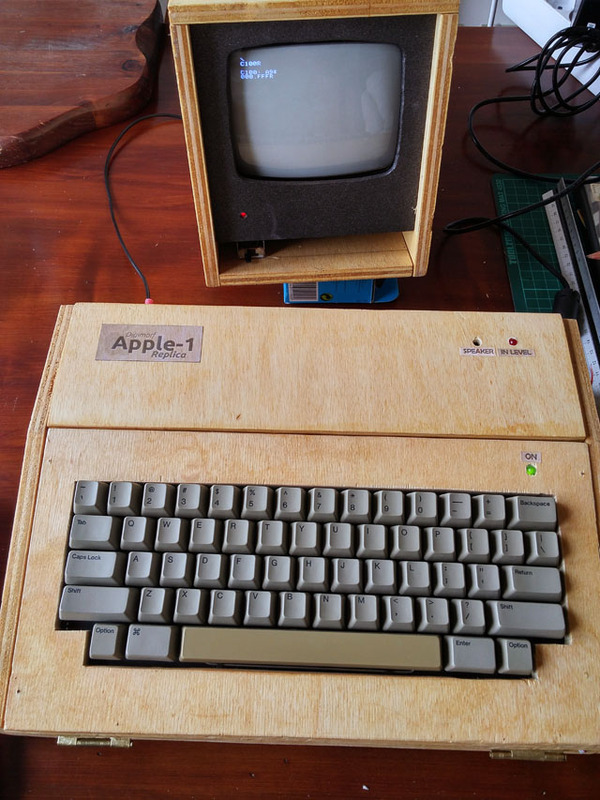 finally I upgraded my Apple-1 Replica with the support of cassettes. I built a tiny circuit that cleans the incoming audio signal and acts as a zero-crossing detector like the original one. The circuit is a bit different than the original ACI but it uses the same LM311 with a different configuration of resistors, a RC filter to bypass high frequencies of the oscillations during sign change, and the LED indicator. Thanks to #ST for hosting me into their booth at #EmbeddedWorld 2019, from the 26th to the 28th of February 2019 in Nuremberg Messer, Germany.